HONOLULU - MBC (MacBusiness Consulting) is proud to announce the implementation of a database management solution for Wincubic.com, Inc. (dba Aloha Street), one of the largest Japanese mix media publications in Hawaii. 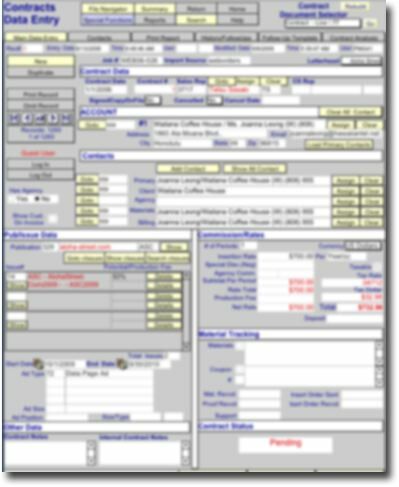 This database solution was created with FileMaker Pro database application platform. 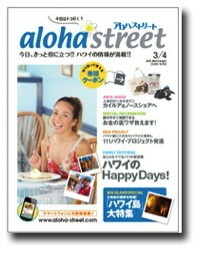 Both Aloha Street Magazine and Aloha-Street.com effectively targets the Japanese market and directly leads them to your business (both tourist and residents living in Hawaii) (see statistics on right). If you have a business and would like to reach the Japanese market, call customer relations at 808-593-9463 or email cr@wincubic.com. Publication Contract System - Tracks, generates and manages hundreds of contracts with powerful automatic invoice scheduling system. Invoice System - Create both manual and automated monthly invoices. Publication/Issue System - Track and manage multiple publications and the related issues. Forecasting - Powerful forecasting system empowers management to forecast both existing sales and projected sales across multiple publications and issues. Contact Management System - Correspondence, Email, broadcast Email, keyword management, follow-up, history, batch processing features and other marketing features. Project Management System - Powerful admin project management module. 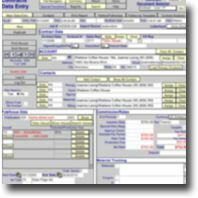 Accounting - Programing for pushing invoices directly into accounting software. Multi-User - programming empowering 10+ users to simultaneously use database. Synergy - Most important is the entire solution has a high level of synergy between all key functions that allows for ease of use and significant increase in navigation, accuracy and productivity. A custom database to manage your operations and marketing can make you a lot of money because it can be tailored to your exact needs and evolve as your company changes. Call Ernest at MBC today to see what he can do for you! 808-739-9797. Aloha Street Magazine is one of the largest print publications in the Waikiki area and also has a very popular online website, Aloha-Street.Com. Distribution: Over 100 locations on Oahu including street racks, hotels, shopping centers, trolley, etc. Maps, coupons, editorial specials, drive maps, area guides, shopping & restaurant guides, activities, entertainment, event calendar, local information, etc. MBC can assist the streamlining of existing databases as well as develop complex relational database systems to manage your business.